We only made one VT and no SGN in 2012! Unfortunately, the weather was perhaps perfect for drier wines (dry September), but it made the noble rot develop very late, and then some rains made it difficult to obtain proper SGN concentration. 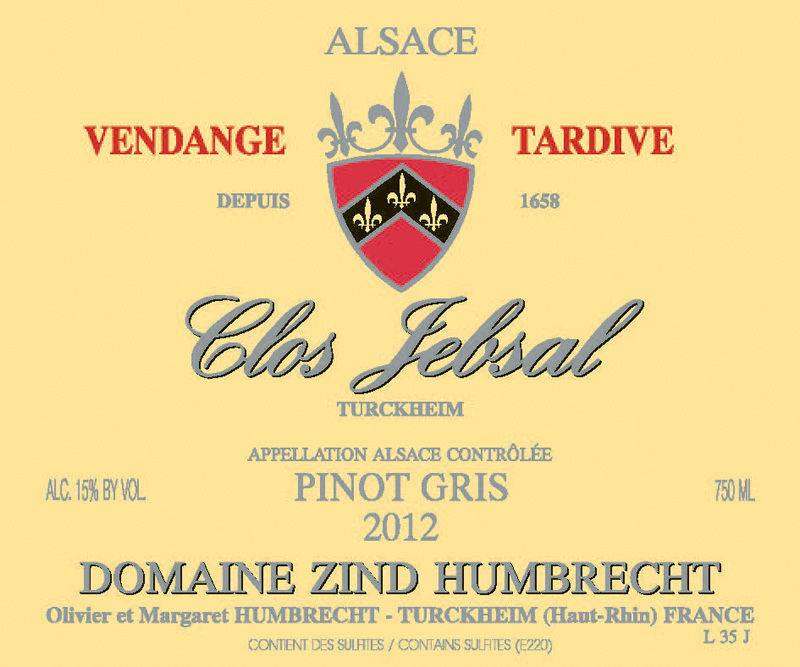 Only the rich gypsum marl of the Jebsal and the fact that this vineyard enjoys a warm precocious micro-climate made it possible to produce a Vendange Tardive. We did harvest this vineyard with a usual double selection process in order to separate the Vendange Tardive and Sélection de Grains noble grapes. However, at the winery, we realized that the difference between the two wines was not that important and decided to assemble the two selections together. The fermentation produced a classic balance. 2/2012: intense gold colour! Discreet nose, like many Jebsal, the heavy marl soil shut the wine down in its youth. The botrytis was quite intense, but doesn’t show, yet, on the nose. So, interestingly, the honey aromas are subtle and mixed with fresh fruity flavours. Unctuous, rich and full palate. The sweetness is not overpowering as the finish has a vibrant energy. This is a very curious vintage, because the acidity is normal, not high, but the palate really shows an incredible tight structure. It is important to allow for the CO2 to escape, so decanting the wine is necessary.